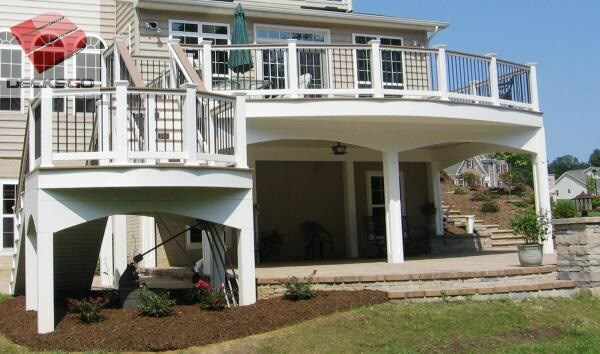 A classically styled high elevation multi level deck with taste and function. This larger landing area creates a much more open feeling that balances well against the size of the lot. The detail on the supporting posts and beams shows attention to detail.